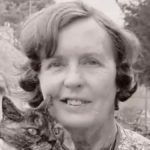 Barbara Pym was an English novelist. In the 1950’s she published a series of social comedies, of which the best known are Excellent Women (1952) and A Glass of Blessings (1958). In 1977 her career was revived when the critic Lord David Cecil and the poet Philip Larkin both nominated her as the most under-rated writer of the century. Her novel Quartet in Autumn (1977) was nominated for the Booker Prize that year, and she was elected as a Fellow of the Royal Society of Literature.